Baltimore-Washington International Thurgood Marshall Airport, situated in Maryland, is commonly referred to as BWI Marshall. In 2016, Baltimore-Washington International Airport served a record 25.1 million passengers. Baltimore-Washington International Airport is the busiest of the three major airports serving the Baltimore-Washington metropolitan area, and is the focus city for Southwest Airlines. Flights to Baltimore-Washington International Airport are provided by international airlines such as United Airlines, Lufthansa and Delta Air Lines. BWI is an 18-minute drive from the city centre of Baltimore. Book your cheap flights to and from Baltimore-Washington International Airport online! Baltimore-Washington International Thurgood Marshall Airport is named after Baltimore native, Thurgood Marshall, who became the first African American to serve on the Supreme Court of the United States. Baltimore-Washington International Airport was ranked the 23rd-busiest airport in North America. Plans to build the airport materialised after World War II, costing approximately $9 million. Baltimore-Washington International Airport is located near downtown Baltimore, close to the Pennsylvania Railroad line and the Baltimore and Annapolis Railroad, making it convenient for travellers to commute to and from the airport. Compare and book cheap flights to Washington with popular flight routes from Lagos to Washington and Abuja to Washington. Baltimore-Washington International Airport has a variety of dining options. All food and drink cravings are catered to in the various restaurants, cafés, fast food franchises, juice bars and bakeries. 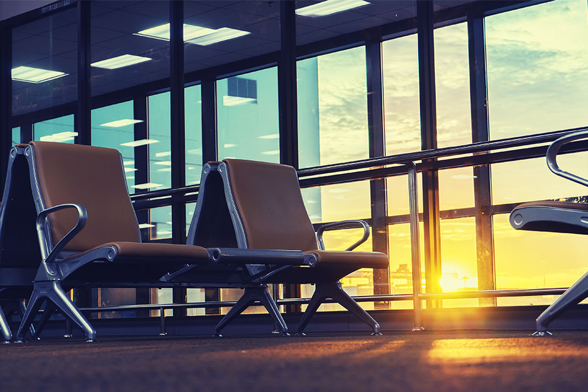 Enjoy your time at the airport, by going window shopping to your heart’s content or simply grabbing a few essentials at the shops at Baltimore-Washington International Airport. With over 50 stores, including newsagents, clothing, cosmetic, candy stores and accessories, you are sure to find all that your heart desires. Baltimore-Washington International Airport is home to The Club BWI lounge and Chesapeake Club Lounge. It is located at Concourse D, near gate D10 and the International Terminal, airside, upper level respectively. Baltimore-Washington International Airport has an incredible range of facilities, such as an observation gallery, a meditation room, art exhibits and a children’s play area. This hotel is ideally located close to downtown and is a 7-minute drive from Baltimore-Washington International Airport. Amenities include a business centre, free Wi-Fi, an outdoor pool and a 24/7 airport shuttle. This 3-star hotel provides the perfect accommodation. It is an 8-minute drive from Baltimore-Washington International Airport. Amenities include free Wi-Fi, free airport shuttles, a fitness centre, free parking and a business centre. This incredible hotel is designed for long stays with studio suite rooms. Enjoy a home away from home ambience at this reputable establishment. It is a 10-minute drive from Baltimore-Washington International Airport. Amenities include a fully equipped kitchen, a laundry room, Wi-Fi, a shuttle, meeting rooms and a pool. Travellers can order foreign exchange up to 60 days before departing from South Africa. There are two Travelex outlets located at Baltimore-Washington International Airport. Baltimore-Washington International Airport offers four different park-and fly options, namely Hourly Garage, Daily Garage, express parking and long-term parking. All parking needs are met at BWI Airport. The Hourly Garage is ideal when picking someone up at the airport. Baltimore-Washington International Airport is located 14 km north-east of Washington, D.C. Metered taxis, airport shuttles, car hire and App-based ride services are available to get you from the airport to your destination.